Brethren, relatively little is written on my subject.1 Yet we are all expected to know about it. I speak of honoring the priesthood. 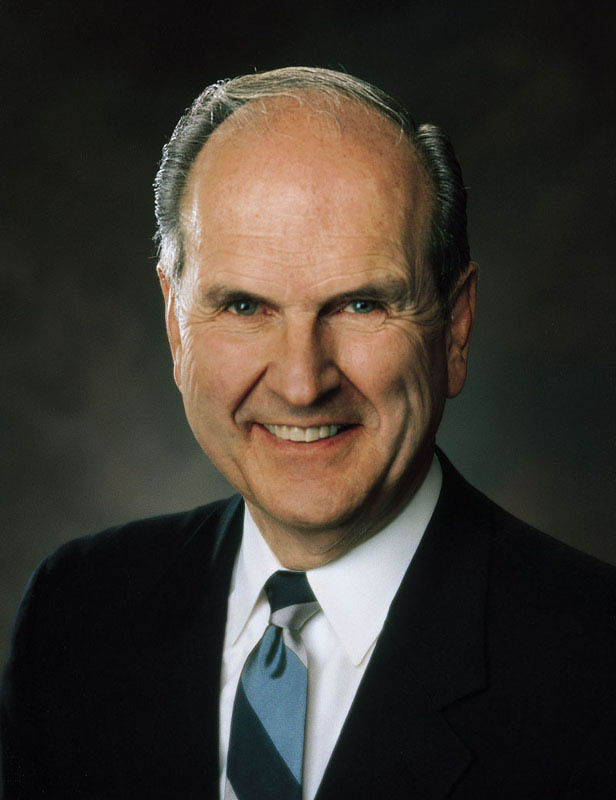 President Ezra Taft Benson has specifically asked us to follow proper priesthood protocol—principles, he noted, “that many of us have learned by observation while listening to senior brethren.” He said, “Protocol is a long-established practice prescribing complete deference to … an order of correct procedure.”3 I will quote from President Benson and other leaders because, as you will note, much of my message pertains to that protocol. Differences exist in practice and organization between the Lord’s Church and man-made institutions. Men and women may form associations for and among themselves and be governed by stipulations that are mutually acceptable. The Church of Jesus Christ of Latter-day Saints, however, is neither a democracy nor a republic. His is a kingdom—the kingdom of God on earth. His is a hierarchical church, with ultimate authority at the top. The Lord directs His anointed servants. They testify to all the world that God has again spoken. The heavens have been opened. A living linkage has been formed between heaven and earth in our day. Secular and spiritual institutions have differing patterns of leadership. Man-made organizations are governed by officers with titles that designate rank or accomplishment. A military officer, judge, senator, doctor, or professor is properly addressed by title. We appropriately honor individuals who have attained such positions. “Elder” is a sacred title shared by all who bear the Melchizedek Priesthood. We honor such a man because of his extraordinary calling. His official acts are valid on earth and in heaven. Well do I remember the first time I met one of the General Authorities. It was a feeling beyond description. Though I was but a boy, immediately—almost instinctively—I rose to my feet. Even now I feel that same way when one of the Brethren enters the room. A General Authority is an oracle of God. Under assignment from the First Presidency and the Twelve, General Authorities confer the appropriate keys upon presidents of stakes and of missions, who in turn confer the needed keys upon bishops and upon quorum and branch presidents. That order also defines bounds of revelation. The Prophet Joseph Smith taught that “it is contrary to the economy of God for any member of the Church, or any one, to receive instruction for those in authority, higher than themselves.”6 That same principle precludes receiving revelation for anyone outside one’s defined circle of responsibility. Don’t resign from a call. Do inform leaders of changing circumstances in your life, knowing that leaders will weigh all factors when prayerfully considering the proper timing of your release. Some aspects of the priesthood are not related to position or title. Authority to administer a priesthood blessing, for example, is dependent only upon ordination and worthiness. The Lord would not withhold blessings from any of His children for want of one with a particular calling. Every elder in the Church holds the same priesthood as the President of the Church. Brethren, please remember: The highest degree of glory is available to you only through that order of the priesthood linked to the new and everlasting covenant of marriage. (See D&C 131:1–4.) Therefore, your first priority in honoring the priesthood is to honor your eternal companion. Now for counsel more specific. Husbands and fathers: With your dear partner, shape attitudes at home. Establish a pattern of prayer. Pray regularly and vocally for your priesthood and auxiliary leaders, both local and general. Your manners of courtesy at home and of reverence in the chapel will be copied by members of your family. Help your loved ones follow proper channels when they seek guidance. Teach that counsel should be obtained from trusted parents and leaders on a local level, not from General Authorities. In the past two decades, the First Presidency has sent out essentially the same letter six times to reaffirm that policy. Fathers, you understand the principle of temporal self-reliance and try to provide for a year’s supply, stored at home. Please also consider the need for spiritual food and self-reliance—not just for a year, but for a lifetime—also stored at home. A worthy father should have first opportunity to administer a blessing to members of his family. As time moves on, his sons may then draw from that spiritual reservoir, worthy to administer to their own families and to their parents. “I learned some time ago of the distress felt by members of a stake in this valley when their stake presidency was reorganized. The presiding officer was one of the most venerated and unique apostles in all the history of the Church. [Elder] LeGrand Richards was then in his nineties, but was sharp and alert. During the conference, the local people who were called on to speak took most of the time. As a result, Elder Richards had only ten or fifteen minutes remaining in the meeting. What did he do? Go overtime? No. He bore a brief testimony and closed the meeting on time. When a presiding General Authority has spoken, no one speaks following him. After the meeting has concluded, presidents and bishops, remain at the side of your file leader until excused. He may be impressed to give additional teaching or direction. And you may also prevent problems. For example, if a member asks a question of your leader that should not be directed to him, you are there to respond. Now for comments about the stake high council. It has no president. It has no autonomy and meets, even when divided into committees, only upon call from the stake presidency. Although high councilors may be seated in the order of their call to the council, no one member has seniority over another. Such deference from a junior to a senior Apostle is recorded in the New Testament. When Simon Peter and John the Beloved ran to investigate the report that the body of their crucified Lord had been taken from the sepulchre, John, being younger and swifter, arrived first, yet he did not enter. He deferred to the senior Apostle, who entered the sepulchre first. (See John 20:2–6.) Seniority in the apostleship has long been a means by which the Lord selects His presiding High Priest. If any among us are also guilty of treating as trivial such things that are sacred, we may repent and resolve to honor the priesthood and those to whom the Lord has entrusted its keys. Brethren, to all mankind we proclaim these everlasting truths: “The Melchizedek Priesthood holds the right of presidency, and has power and authority over all the offices in the church in all ages of the world.” (D&C 107:8.) This power holds “the keys of all the spiritual blessings of the church.” (D&C 107:18.) May we fully honor that priesthood, I pray in the name of Jesus Christ, amen.